Ivy has a way of sprouting up everywhere. 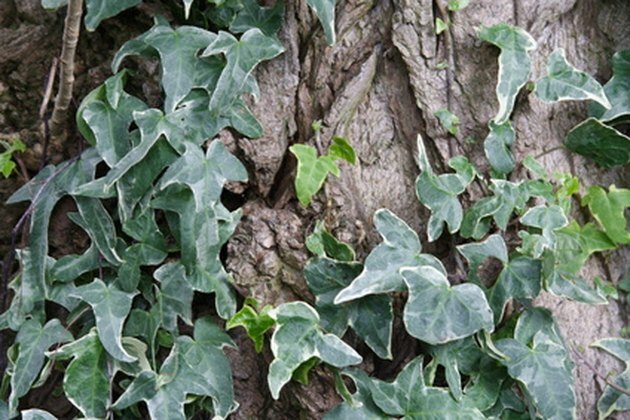 Although it may start off as an attractive feature along the side of a home, it is possible for the ivy to grow out of control and quickly take over an entire yard. If this is occurring in your yard, there is a way to kill the ivy by using several house-hold ingredients, including Dawn dish soap. Kill ivy with the help of Dawn dish soap. Combine one gallon of vinegar with a full cup of salt and a few drops of the Dawn liquid dish soap. Mix the creation the concoction well, allowing the salt to dissolve into the vinegar. Place the mixture in the refrigerator, allowing it to chill. Pour the mixture into a spray bottle, and spray the ivy with your concoction. The vinegar will wither the ivy, while the salt soaks up any water. The Dawn liquid soap allows the mixture to stick to the ivy..
Repeat the process every few days to ensure the English ivy dies out completely.